If you are using an Android device (phone / tablet) or if you are using that Android device for too long, then some of your apps might be misbehaving or crashing often. I personally faced this. I’m using Sony Xperia Z1 and whenever I open some apps, they just stop working or get crashed after few seconds. Though it is a pretty good device, sometimes, the app misbehaves or has compatibly issues with the version. Now we are going to try two options here – “Clear Cache” and “Clear Data”. First try the former (Clear Cache) and see if the app is working properly. If you still face the issues, go ahead and try the latter (Clear Data). But, be careful, these options are more or less like uninstalling and installing process. 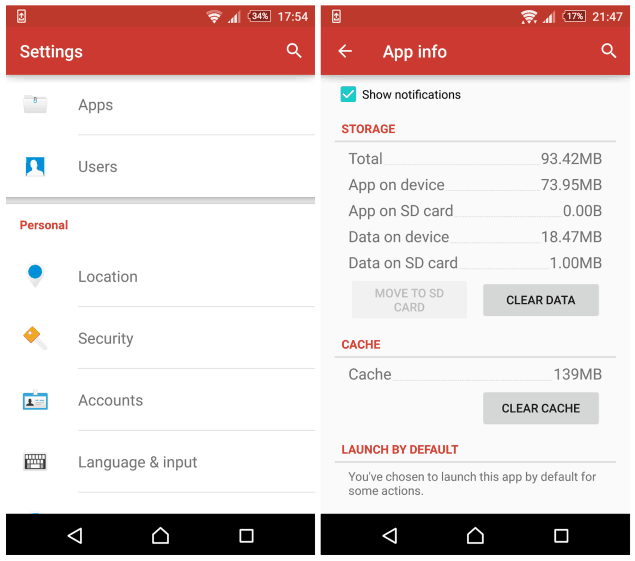 This will delete the unwanted (or unused) cache stored by Android OS and it’ll free more RAM as well. So if your Android apps are weirdly behaving or crashing often, then you can try this simple tweak and see if they are back to normal. I tried this with some other apps as well and it worked like a charm. Do let us know if you have tried this, or if you are facing any issues with these steps, do let us know in the comments, we’ll guide you right away.